Through our unique enterprise agile coaching approach, we help our clients get better business results by delivering value sooner to happier customers. Resulting in high-performing organisations that have the ability to change direction at low cost while keeping a high-level of quality, integrity and engaged workforce. 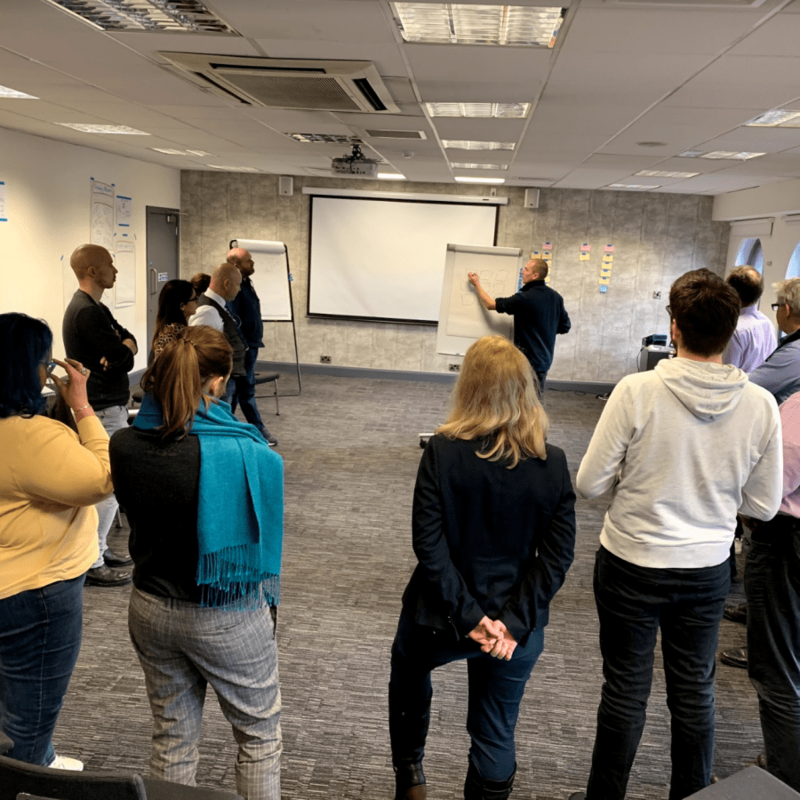 We start this journey with our unique two week approach, which gives your business the tools, data and mindset to improve your ways of working and maximise your chance of success at being an adaptive “agile” organisation. Talk to us today about how we have helped our clients get better business results through “agile transformation” and how we can support you in unlocking your organisation’s potential. Depending on your requirements our enterprise agile coaching services are available worldwide. If you’re considering using Enterprise Agile Coaching services provided by Adventures with Agile, please phone or fill out the form below, giving as much information as you can about your needs. Upon receiving your email, we will call you to discuss you requirements further and arrange an in-person meeting. If you don’t see what you are looking for on our website please use the form below or email us to describe your needs as we may be able to help beyond what is advertised on our website.